All I can probably say about that is that someone else should have stepped up to the plate and have a go at writing some songs. Its not that Adversity is crap, it's just that it's not brilliant either. It’s a mix of a (much wetter and softer) version of 'Bowling For Soup' and 'Offspring' with more than a smidge of 'Boy Band' bollox thrown in for good measure. 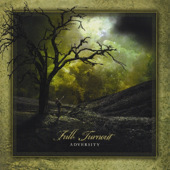 Adversity kicks off proceedings with very little bite, and the gum shield remains on for pretty much the whole of the album. If there's a 'Radio Smooth' over in Canada than Full Turnout will be all over it. It's coming over as background music and nothing more I'm afraid. 'Invisible' shows a little more promise, the chorus lifting the song higher than the others on offer, just drop the vocoder guys! At the end of the day Full Turnout are unsigned and they will remain this way unless they change their tune (pun intended) and direction for their next CD. There is something to build on here, but the foundations are gravely rather than concrete. Full Turnout? I wish they hadn't.